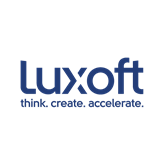 With about 12,900 employees, Luxoft has got the best technology talent to support client's business needs.We have expertise in automotive, financial services, healthcare, telecommunications, life sciences, and other industries. As a highly committed partner, we take customer challenges as our own. Our dedication stems from a passion for technology and a bespoke attention to your needs. Want to get notified about new jobs at Luxoft Global Operations GmbH?